Little A and I are now, officially, in the Guiness Book of World Records. Thank you, thank you. 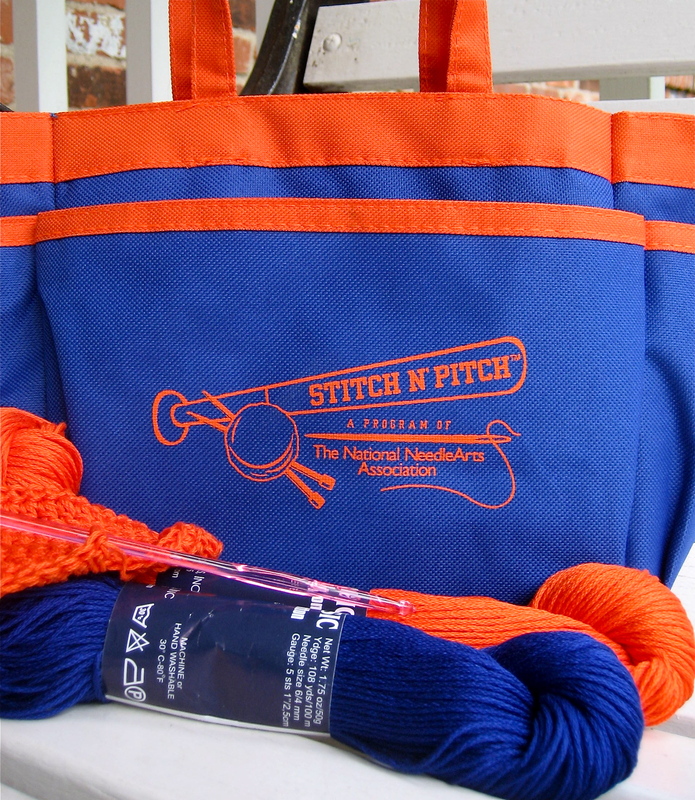 We were thrilled to participate in an event called Stitch N’ Pitch held at the home of our favorite NY Mets. 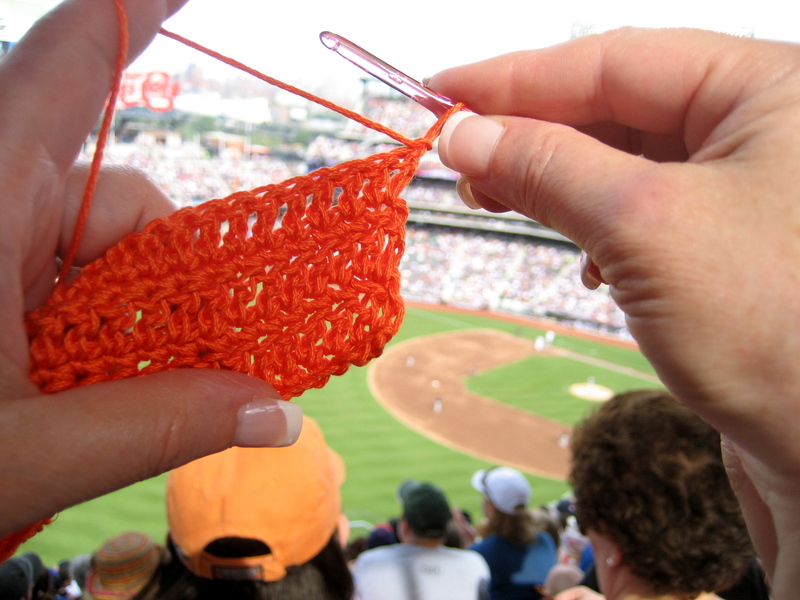 The goal was to set a new world’s record by having the Most People Crochet Simultaneously, and we did so by having 427 people crocheting for 15 minutes at Citifield on June 5! Stitch N’ Pitch is a program of The National NeedleArts Association, and this was the 4th event held here (so how come I didn’t know about 1, 2 & 3??). SO much fun! Our admission ticket, a mere $19, included a free tote, a skein of cotton yarn (in either blue or orange), and a crochet hook (plastic but, hey, it was free). Deborah Norville was there to kick-off the event and offer a very quick tutorial to get those non-crocheters started! 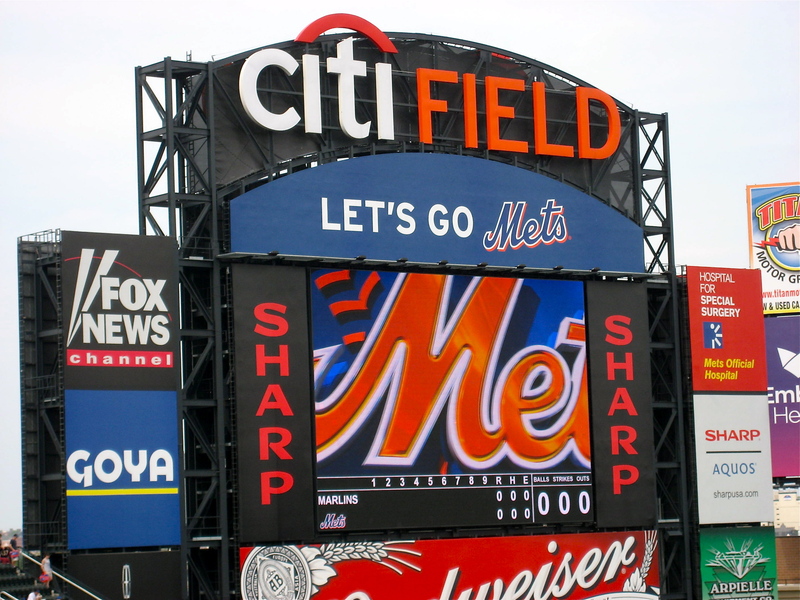 And, best of all, we got to see the Mets beat the Marlins. Yeah!!!!! Those itty bitty white specks on the field are the Mets. ($19 may get you a tote and some yarn, but it won’t get you Field Level) If you look closely, you’ll see Reyes and Wright! I love spending time with little a, I love anything that includes yarn, and I love the Mets. Who could ask for anything more? You do the coolest things Ann! Glad you were a part of that!